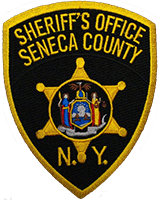 If you have witnessed any kind of suspicious, criminal or drug activity in Seneca County, please submit the following online anonymous tip form to the Seneca County Sheriff's Office. Your information - name and contact information - is not required. Please be sure to complete all other fields and give as much detail as possible. That way, we can follow up on the tip as quickly as possible. Fields with an * are required.